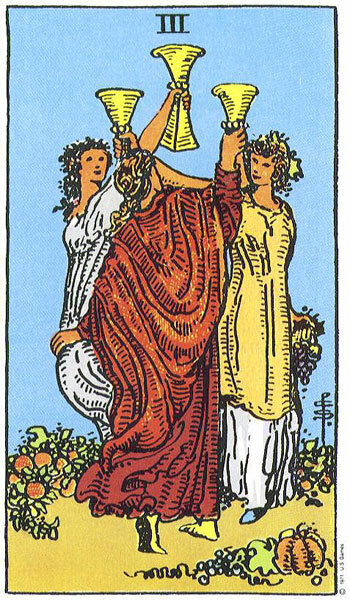 The changes that are welcome and necessary for an individual aren’t always welcomed by her (or his) family and friends (Three of Cups). It’s not that they don’t love us and want the best for us; it’s not that they don’t want us to be happy; they do. But the changes that are coming (not here yet, partly because of strong resistance: Death reversed) may be things that they don’t understand, and, additionally, I think it’s in the nature of groups of people to resist changes. (“Stay here with us and be happy,” they will say — especially if the changes happening in your life involve moving.) It takes an individual to court change and welcome it. Or maybe the coming changes are something that you don’t welcome at all — it happens. But don’t despair. These same people who don’t understand the changes that you may be experiencing in your life will still be there to love and support you during those changes, and to take the edge off the sting of negative transitions. Love doesn’t have to understand, it only has to be there. 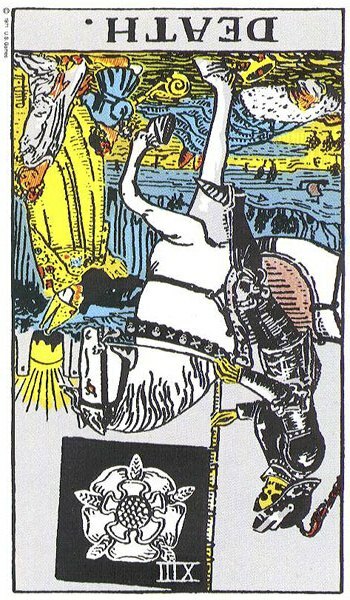 Previous Does it matter if you “believe” in tarot? “Love doesn’t have to understand, it only has to be there.” Such a strong and resonant concept expressed there. Much like the celebration present in the renewal in Death, and the death of brittle things in the fluidity of celebration in the 3 of Cups. “Love doesn’t have to understand, it only has to be there.” is a wonderfully resonant concept which feels to apply to most things that build value in life. Rumor has it, none of us are getting out alive. lol. “Love doesn’t have to understand, it only has to be there” informs the space between then and now with celebration and renewal. How can the celebration die when renewal that is refreshed and inspired and born from it is at hand? You are welcome. “Love doesn’t have to understand, it only has to be there” comes from my life experience…there have been many things in life that I would like to have understood the reasons for, but there just are some things that I may never understand…some of the very negative things that people do at times, especially, are very hard/impossible for me to understand. And it is comforting to know that at times when I can’t understand, I can at least be there. Thanks for the comment!